First of all, what is numerology? Numerology, like astrology, has been in use since ancient times. It is defined as "the study of the occult meanings of numbers." The most popular form, simply called numerology, works much like astrology: each number has its own unique vibration and characteristics, each number is controlled by a planet (or a luminary), an angel, and a god or goddess, and the system is primarily used to analyse an individual's personality and forecast his or her destiny (much like a horoscope). The numbers 1 through 9 are the integers that are most frequently used. Theoretically, through the use of cycles of 9 years and multiples of 9 years one should also be able to use this system to foretell the future of world events. However, attempts to do this will at best be scantily successful. What, then, is base 7 numerology? It is a system of forecasting future events that is founded on the belief that the number 7 has special, mystical properties and may also be the paramount numerical factor by which Time itself operates. The theory upon which the system operates is my own personal belief, following years of close observation, that history repeats itself in cycles of 7 years or multiples of 7 years. However, unlike true numerology, this is more a system based in mathematics, historical knowledge, and close observation of current events. Probably not. I have heard people say that they believe that their own lives seem to run in cycles of 7 years. I, too, have discovered this to be true in my own life to some great extent. But I am probably the first person to really create anything elaborately systematic about this view. Somewhere I read that the Druids were connected with the number 7... How do you know your system might not be part of an ancient form of their beliefs, that died with them, lost a loonnnng loonnnng time ago? Or how do you know your system isn't already in use today in another discipline such as the Kabbalah? I don't know the answer to that. I have never performed exhaustive research to determine whether or not anyone has been or is doing anything similar to what I am doing with the number seven. Why do you believe the number 7 holds so much power? For me, the reason that towers above all other possible explanations is that it is the most important number to be found in Holy Scripture. In the Book of Genesis it is the very first number to which we are introduced. 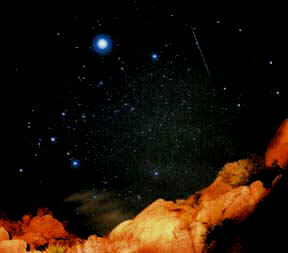 God made the heavens, the earth, and all living creatures (including man) in six days and rested on the seventh. Thus, is based our concept of the seven-day week. We are later told that human beings are alotted three-score and ten years of life. That is seventy years (10 x 7 years). There are the seventy weeks concerning Israel mentioned by the prophet Daniel. Time operates in cycles of seven. Since the number seven holds so much significance early in the Bible, we should not be surprised to find it taking centre stage at the conclusion of Holy Scripture: in the Book of Revelation! It is there we are revealed the final era of human history and geological history. There are seven seals to be opened, each of the first six representing an unique, history-changing event. When the seventh seal is opened, seven trumpets sound in sequence. Each of the first six of these also describe a peculiar and devastating event. When the seventh trumpet sounds, seven vials are emptied upon the earth. The first six of these describe a specific plague and the seventh brings about the end of human history as we know it. The number 7, therefore, must be a sacred number since God has invested it with so much power as is witnessed in the Holy Bible. If this "system," as you call it, comes from God then what right have you to say that you "created" or "devised" it? Indeed, what right have you to even name .it? Personal experience and the Bible inspired me to form my theory concerning the number seven. Only God knows how close my theory really is to the truth. If the basic premise of my theory is correct, the divine system itself has never been revealed to the best of my knowledge. Therefore, since the methods and rules that I employ are of my own invention, I have a right to call it my system and to name it. How accurate is your system? Only as accurate as the human being using it. I am human; therefore I am fallible. For this reason, I will never be 100% accurate with my predictions. No other human will, either. My accuracy rate for 1996 was 81.4%. In 1997 it dropped to 79.6%. In 1998 it rose again to 81.4%. In 1999, it shot up to 91.7%. After peaking at 92.7% in 2000, it nosedived to 71.6% in 2001 and, thus far, 70.3% in 2002. Despite the fluctuations, the "odds" are still roughly 3 in 4 that a projected event will happen. Fine. How then does base 7 numerology work? First, an original historical event (precedent) must be established. Seven years later, if conditions are right, some variation of the precedent is repeated. The repetition, on rare occasions, can be nearly exact. If conditions are not favourable, an opportunity for the event to be repeated will occur an additional seven years later (a total of fourteen or 2 x 7 years). Again, if conditions are not right, another seven years may pass (twenty-one or 3 x 7 years) before there is a recurrence. Multiples of seven up to forty-nine years (7 x 7 years) can be used. In most instances, but certainly not all, influences older than forty-nine years are usually too weak to be repeated. Therefore, over a forty-nine year period an event may be repeated once, twice, three times, and sometimes more often than that. Then again, some events are never repeated. Can you elaborate and give me an example of how this might work? A cease-fire was negotiated between North and South Korea in July 1953 (precedent). Seven years later, in 1960, conditions were not right for some variation of the precedent to be repeated because no conflict of similar concern or proportions was in progress. Another seven years later (2 x 7 or 14 years), in 1967, world powers convened for the first Paris Peace Talks in an effort to bring about a permanent cease-fire in the conflict between North and South Vietnam. Although conditions should have been favourable, the initiative was a failure because it was only a half-hearted gesture. The desire for war exceeded the desire for peace, therefore all favourable conditions were not met. Failure at that pivotal time in history guaranteed another seven-and-half years of conflict (until March 1975 - the Fall of Saigan), with the U.S. commencing a prior phased withdrawal of its forces in May 1972 and a termination of the war draft in 1973. Therefore, another seven years later in 1974 (3 x 7 years or 21 years after the precedent) we find the war in Vietnam is quite nearing its end. Another seven years after the near-end of the Vietnam War (1974) brings us to 1981. In January of that year an end to the 444-day Iranian Hostage Crisis was negotiated. We are now 28 years (4 x 7) from the Korean precedent. This may seem a radical variation from the precedent, but remember that a failed military operation to recue the hostages took place in 1980. In addition, if the crisis had not been resolved early in the new Reagan administration, the likelihood of war between the U.S. and Iran would have escalated. The influence is repeated again another seven years later (35 or 5 x 7 years) in August 1988 with a U.N.-brokered cease-fire between Iran and Iraq -- a conflict in which the U.S. was forced to become militarily involved in May 1987. A variation of this is repeated yet again seven years later (42 or 6 x 7 years after the Korean precedent) in October 1995 in the form of the Dayton Peace Accord in Bosnia. The implications this could have for the world in July-October 2002 or 2009 should now be self-evident. I note from your example that the trouble in East Asia (the Korean War) repeated in the same general geographical region with the Vietnam War. Why was the next location in the Middle East? Good question. It would appear that once a geographical influence has exhausted all of its possibilities, then that influence must arise in yet another part of the world. This shift from the Far East to the Middle East I now call "trans-location" for lack of a better term. Note that with a successful cease-fire holding between Iran and Iraq since 1988, the defeat of Saddam at the hands of the United Nations in 1991, and a peace process in progress between Israel and her neighbours since 1993, the next region in need of pacification once again would have had to be located elsewhere in the world -- or not at all. Therefore, another trans-location occurred in the early 1990s: from the Middle East to the Balkans. I notice that each of your predictions contains something called a vector. What is that? Each prediction I make is for a specific calendar year. A prediction need only be fulfilled (or conspicuously thwarted) during the course of that particular year to be considered successful. Vectors may help narrow the time frame within the target year. A vector is a month, two-month period, or window of months when an event is likely to occur. Examples: September 2000, August/ September 2000, June-September 2000. Unfortunately, vectors are only dependable about half the time ... and some years not even that. The other half of all successful predictions happen within one day to seven months before the first or after the last day of a given vector. In rare instances successful predictions are completely at odds with the vectors, with an event slated to occur early in the year happening instead late in the year or vice versa. Sometimes, too, an autumn event will overlap several months into the next year or an event will occur around the one year anniversary of when it should have happened. When you score or rate the accuracy of your predictions, why do you ignore the success or failure of these vectors in your calculations? Getting the year right is difficult enough. I grew weary of all the astrologers, psychics, and prophets (including the late Jeane Dixon) who used to make New Year's predictions for each coming year on television and in newspapers. None of them rarely if ever committed themselves to any specific month or "vector". The following year we would check their score and it would always fall somewhere between 0 to 10% (usually 0). I only ask for the same consideration they received. The following charts will hopefully demonstrate how base 7 numerology functions in a way that will be clear to most viewers. We will begin with the first year of my experiment: 1996. Rare celestial event in March? Chinese aggression between February and June? Israel invades Lebanon in June? Earthquake Strikes New York City in July? Iraq issues threats or provokes U.S.? Crisis in Eastern Europe beginning in November? U.S. involved in crisis in South America in December? 3) Event: catastrophic in terms of loss of life, but not the specific event predicted. Even so, the explosion could be heard for miles around, rattling windows and shaking floors and ceilings. A number of people witnessed the explosion. The appearance of the flaming wreckage on the water also resurrected the hellish image of the Bay Marina fire which accompanied the San Francisco Quake of 1989 (seven years earlier). Event: At least 33.3% of the remaining 33.3% which equals 11.1%. Add 33.3 + 33.3 + 11.1 = 77.7%. On a closeness scale of .1 to .9, the NYC prediction is a .77. Each correct prediction is equal to 1.0. Each wrong prediction is equal to 0.0. There are 9 correct predictions: 9.0. There are 2 wrong predictions: 0.0 and 0.0. There is one close prediction: .77. Add all twelve and we get 9.77. Divide 9.77 by 12 and we get the accuracy rate. In this instance it is .8141 or 81.4%. Thus, my accuracy rate for 1996 was 81.4%. It will be noted that the predictions made for 1997 are a bit more complex, therefore necessitating wordier questions in the charts for that year. I should also point out that some of these predictions originally appeared in my notes as paragraphs. The coming of Comet Hale-Bopp had already been expected since its discovery in 1995. Although not a prediction for this reason, it appears in the second chart because it lined up with several other spectacular comets of the previous thirty-five years. I decided that this time I would not simply focus on world affairs. If possible, I would make some predictions dealing with social issues or non-political personality-oriented events as well. It wasn't lost on me that since my prediction concerning Cuba in 1996 had come true, thus validating the idea that an event from as far back as 1961 could have a contemporary influence, that 1962 could in turn have some affect on 1997. The two major events of 1962 which immediately come to the minds of most people are the death of Marilyn Monroe and the Cuban Missile Crisis. Since Monroe was an actress, the first thing that came to my mind was that a major film actress would die mysteriously in August, although not necessarily in the same way as Ms. Monroe had. Then I reviewed Marilyn's profile: she was blonde (although not a natural blonde), died at age 36, and was in the public eye for 13 years (1949 - 1962). Then I asked myself who the top female celebrities were from the world of music and film. They would have to be blonde (natural or artificial), in their thirties, and their careers would have to have begun around the year 1984. Since Marilyn Monroe was American, the "icons" which initially came to mind in January 1997 were American and there were not many (Michelle Pfieffer, Sharon Stone, and Madonna were at the top of the list). Princess Diana was also on the list, although she was English royalty and not an American actress or entertainer. It was for this reason that I did not take the possibility that anything tragic would happen to her too seriously. However, a few months later, in April 1997, I changed my mind. Diana might be royalty, but she was also very glamourous and, thus, was regarded in the same way as an international pop celebrity. Also, a Nostradamus quatrain, 10.35, which I always suspected might presage Diana's death in France or by someone from France further weighted my view that she might be in grave danger. Even so, the two 1996 predictions which had failed involved personalities Bill Clinton and Louis Farrakhan. For this reason, as the months of 1997 passed, I tended to feel that my forecasts concerning a Charles Manson revisited scenario from 1969 or another Marilyn Monroe tragedy ala 1962 would, in all likelihood, fail. Neither scenario held any more reality for me than a science fiction film. 1997, I suspected, would prove to me once and for all that I had simply been "lucky" with my predictions for 1996. What I couldn't know was that the events I thought would be certain failures became the top news stories of the year. Nuclear or intensive armed conflict between India and Pakistan in February? Terrorist attack on U.S. servicemen or U.S. city in October? Series of major earthquakes in Asia and the Balkans? Clinton resurrects Star Wars Defence in March? Mars Pathfinder Mission will be the most phenomenal success and space-based media event since the first manned moon flight? Craziest cult since Manson family causes mass deaths, may lead to string of murders over the summer and killing of a celebrity? Tragic death of major female celebrity will shock world in August? Iraq will provoke the U.N., perhaps invade Turkey in July? Major international crisis will endanger U.S.-Russian alliance in October? U.S. economy in danger, a recession in August? Iraqi Weapons Crisis, Standoff With U.N. The India-Pakistan crisis provides us with our first glimpse of an "adjacent fulfillment of a prediction." This is extremely rare and has only happened a few times thus far. Any event that is in large part fulfilled as predicted during the calendar year immediately preceding or following the target year. The October 1983 bombing of a U.S. marine barracks in Beirut, Lebanon -- theoretically, at least -- should have been repeated in some fashion in 1990 or 1997. However, instead of a terrorist attack on military personnel or peacekeepers, the massacre that occurred in November 1997 was committed against Western tourists in Luxor, Egypt. This wholesale slaughter of civilians, many from the US, was allegedly carried out by Islamic fanatics with ties to terrorist leader Osama bin Laden. The predictions I made for major quake activity in Asia and the Balkans occurred in spades with two massive earthquakes in Iran, one of them also striking neighboring Pakistan, and another monstrous temblor in Italy (next to the Balkans). Although the Mars Pathfinder program was known about well in advance of the event, no one could have possibly predicted its success or failure. In Chart 1997 Part One I demonstrated how I suspected that since the 1997 Mars mission lined up with both the Mars Viking (1976) and Apollo 11 (1969) missions, the historical success of Apollo 11 would promise astounding success for the Mars Pathfinder-Sojourner. The "little sojourner that could" walked the surface of the red planet, a robotic Neil Armstrong, making U.S. history in space once again. How I wish now that I had stuck with predictions of this type and not meddled with what is demonstrated in 1997 Part Two. Somehow I suspected that if the Mars mission was an historic success like the August 1969 Apollo 11 mission, then the world might also be forced to relive another historical abberation from August 1969: the spectre of the Charles Manson family in one form or other. Cults had come and cults had gone since 1969, but none had been as crazy as Manson's which fused the Book of Revelation with lyrics from the Beatles' double white album. I had a strong feeling that something just as weird or worse was coming in 1997 and that it would cost many lives. I also believed that the Manson vibrations would result in a string of murders over the summer which would involve the death of at least one celebrity. As we discover in the second chart, this single prediction actually "split" and was fulfilled two different ways. When the dead bodies of 39 men and women were discovered in an expensive home in southern California, like most people, I didn't know what to make of it. Initially they were identified as males between the ages 18 and 30 and no cause of death had been established. The story became considerably more gruesome as the hours passed and quickly entered the realm of the strange. Soon we would learn that these were members of an obscure cult called Heaven's Gate. Over the days to come the crazy and convoluted story of this mass tragedy would rival anything found in the mind of a science fiction writer. From the macabre videotaped discovery of bodies with purple cloths draped over their faces, brand new Nikes laced to their feet, to the first videotape of cult leader "Do" explaining the cult's mission, we watched in disbelief. Bodies were now called "containers." We were shown a web site the cult had created to promote their beliefs. In all the high tech it was hard to believe that something as crude and simple as death had intervened. We had been watching Comet Hale-Bopp with wonder and awe, entranced by its beauty; now we had to watch it knowing that thirty-nine people had killed themselves with the belief that a UFO in its tail was waiting to "beam up" their departed souls. Then, finally, we met the cult members themselves, posthumously, on videotape. Only Charles Manson had ever cooked up a religion this bizarre. April, May, and June passed and with it the comet and the high-tech regurgitation of Spahn Ranch. Then, following the phenomenally successful Mars Pathfinder mission, my worst nightmares began to come true. The spectre of Charles Manson still had one more card to play. His agent was an obscure homosexual serial killer named Andrew Cunanan. After a series of under-reported murders, Cunanan struck again in southern Florida. His victim: Gianni Versaci, an internationally famous fashion designer. Two of Versaci's most famous clients were Madonna and Princess Diana. Cunanan was now being labeled "a celebrity spree killer" by criminal psychologists on CNN and everywhere else. The first celebrity the Manson family had killed was Jay Sebrig, an internationally famous hair designer of the 1960s. The second was actress Sharon Tate, wife of famed film director Roman Polanski. Would the pitiful and shocking murder of the pregnant actress Sharon Tate and the suspicious death of Marilyn Monroe somehow fuse together to create a second victim, this time a female, for the notorious "celebrity spree killer"? Cunanan had traveled far across the country, visiting many states. No one knew where he was. He could be anywhere. There were reports that he had a French passport and had left the country. The final line from an old, not-completely forgotten Nostradamus prediction came into remembrance: "Diana, going to be murdered by the unknown man from Marne." The Marne is a river that empties into the Seine north of Paris. When I saw Princess Diana comforting Elton John at Gianni Versaci's funeral in Milan it hit me like a bolt of lightning right through my heart. Diana was the one in danger -- in danger of fulfilling the destinies of both Sharon Tate and Marilyn Monroe. Cunanan, who was not even French, was nevertheless about to fulfill the prediction made by Nostradamus concerning the unknown killer from the Marne. The videotape of the Milan funeral excerpt showing a compassionate and beautiful Diana in the front pew was already several days old when I first saw it. Cunanan was found dead by his own hand a few days later on a houseboat he had broken into. Diana was safe, or so I thought. Nostradamus' prophecy concerning what I took to be her murder had been thwarted. During the final week of her life I was probably as optimistic about her future as she herself appeared to be. Very late on the penultimate night of August 1997 the memory of the July afternoon I saw Diana in Milan returned to haunt me as a shaken reporter for CNN tearfully informed the anchorman that Diana, Princess of Wales, had died. I remembered her lovely eyes looking out from the television screen and felt my own eyes brimming with tears, tears which soon gave way to heaving, unrelenting sobs. There are no words to describe what I felt. Chart 1997 (Part Two) demonstrates just how much events conspired against Princess Diana. It was far worse than I initially realised. The untimely and tragic death of Princess Grace of Monaco (formerly the American actress Grace Kelly) in September 1982, was completely overlooked as a clue because it was what I now call an adjacent event. She was the key, the bridge. An actress and a princess. She also died in a car. Then there was something I re-discovered in 1998 in my news videotape library, something I had forgotten. In 1983, both Princess Diana and Prince Charles were targeted to be assassinated while attending a Duran Duran rock concert according to a former member of the Irish Republican Army. He was to have set off a bomb at the box where they were seated, but abandoned the plan. His confession was reported on the news in late December 1996. Sharon Tate's death reinforced the fact that Diana would die through violence. Although denied by French authorities, it was reported that Diana was six-to-nine weeks pregnant. Sharon Tate was pregnant. And Marilyn Monroe's death, officially ruled a suicide, remains a mystery. Diana's accident also remains a mystery and the subject of endless conspiracy theories. Just like Marilyn. With this chart, as I now understand it, Diana would have been positively identified as the woman most likely to suffer a tragic fate similar to that of Marilyn Monroe's. With this chart, along with Nostradamus' Quatrain 10.35 warning of Diana's "murder" in or from the region around Paris (the river "Marne"), anyone with the means to contact Diana (or someone close to her) could have prevented her tragic death. Out of the twelve predictions made for 1997 (remember one was actually two predictions in one), eight were correct, two failed, one was close, one was adjacent. 1) Time: August 1997 - off by two months (October 1997) but correct year. 2) Place: New York City - Partially true, but far more widespread, with Asia suffering the worst. 3) Event: the actual event was far more catastrophic than the event predicted. Add 33.3 + 11.1 + 11.1 = 55.5%. On a closeness scale of .1 to .9, the economic prediction is a .55. Each adjacent fulfillment of a prediction is equal to 1.0. There are 8 correct predictions: 8.0. There is one adjacent prediction: 1.0. There is one close prediction: .55. Add all twelve and we get 9.55. Divide 9.55 by 12 and we get the accuracy rate. In this instance it is .7958 or 79.6%. Thus, my accuracy rate for 1997 was 79.6%. It will be noted that I escalated my endeavours and made many predictions for 1998. Instead of a mere dozen predictions, I made 28 of them. This of course was the next logical step since I now had reason to take my system of divination seriously. I also made a vow to Diana that I would share this with the world any way that I could. First I tried to work this system and the following predictions into my 1998 manuscript, Nostradamus and the Final Age. Sadly, I now believe it was partly because of this system's inclusion that my manuscript was rejected in 1998. No publisher wanted to take the chance that I might be wrong. I did not have access to the Internet yet so I had no other choice but to try to publish my base 7 findings and my warnings by working them into special chapters of my book. I have published these base 7 related chapters on Predictions 1998 (Part One) and Predictions 1998 (Part Two). There one can see how I weaved base 7 numerology into the fabric of Nostradamus and other prophecy interpretation. My web site essentially does the same thing, except that I also feature visions by some of the other prophets as well (Edgar Cayce, Alois Irlmaier, Liber Vaticinationem Quodam Instinctumentis, biblical prophets such as Jeremiah, Ezekiel, and St. John, etc.). I gained access to the Internet in February 1999. With the aid of Windows 98's FrontPage Express, I was able to begin this web site in the early spring of 1999. The results of that first year can be found on The End of the 20th Century: 1999. Worst Blizzard to hit NE U.S. in over twenty years in January? Missile strikes against Israel by Iraq, Syria, or Lebanese Hezbollah in January? A Second Desert Storm in January or February? Karla Faye Tucker will not be pardoned and will become the first woman executed in Texas since Civil War? Tragic or untimely death of country music diva in February? Tragic death, possible suicide of female poet or songstress in February? Ice Storm of the Century Hits Quebec and NE U.S., Blackout in Quebec, Floods in NE U.S.
Hezbollah Launches Katushya Rockets into Northern Israel. Israel Retaliates. Missile Exchanges Ensue. U.S. Plans for Operation Desert Thunder Aborted After Kofi Annan Mediates Agreement Between Iraq and the U.N.
A new war will break out in southern Yugoslavia in March/April? Pope John Paul II or member of Vatican dies in the spring of 1998? Comet or rare planetary alignment in May? National Guard or police slaughter anti-war demonstrators opposed to war in Balkans in May? Albania will become a major trouble spot due to ethnic civil war in Serbia spreading there and to Macedonia in May? Alois Estermann, the Second-In- Command of the Pope's Swiss Guards, and Wife Slain by Disgruntled Non-Commissioned Officer. Killer Commits Suicide Afterwards. Worst Tragedy to Befall the Swiss Guards in Over Five Hundred Years. Blackout strikes NYC in July? Worst Crisis involving North Korea since 1994 in July? Top box office smash hit of all time? Major pop or rock singer/ film actor dies in August? Russian crisis or coup threatens Boris Yeltsin's government in August or September, but opposition is defeated? Black male or female rock or film star dies of asphyxiation from drug overdose in August? Famous female rock or film star dies of accidental or intentional drug overdose in October? Arab- Israeli war in October? U.S.- Russian war in Hungary -- NATO and U.S. at war with Russia in Yugoslavia in November? Sonia Gandhi killed in October? Bill Clinton assassinated in November? Saddam Hussein killed in November air strike on Baghdad? Bill Clinton Impeached in December After a Series of Potentially Deadly Mishaps Between December 1997 and July 1998. A November Trip to Pakistan is Canceled Due to Terrorist Threats on Clinton's Life. Shootings at U.S. Capitol in July by Man Seeking to Take Clinton's Life. Military Coup in North or South Korea in November? Death or resignation of Boris Yeltsin in December? Greece declares war on Turkey in December? Yeltsin Resigns December 31, 1999. Out of the twenty-eight predictions made for 1998, eighteen were correct, four failed, three were close (some only barely), two were thwarted, and one was adjacent. A) The National Guard or police were to slaughter anti-war demonstrators opposed to a U.S. war in the Balkans in May. This obviously did not happen, but something else with some relation to this idea did. 1) Time: May 1998. The event occurred in February. But the year is still correct. 2) Place: None specified other than in the U.S. It is ironic, however, that it occurred at the place I had in mind when making the prediction: Ohio State. Still, I did not specify this. 3) Event: Anti-war demonstrations did occur. But over Iraq, not the Balkans. No violence happened at Ohio State. Add 33.3 + 00.0 + 11.1 = 44.4%. On a closeness scale of .1 to .9, the anti-war demonstration prediction is a .44. B) Blackout strikes NYC in July? What happened: San Francisco Blackout in December. Time: July (it was December). Place: New York City (it was San Francisco). The fact that this occurred in the U.S. is important. Had a blackout occurred in Bonn, Germany or Melbourne, Australia, (or anywhere else in the world) this prediction would be a total failure. NOTE: If this had not occurred in a major metropolitan city, but in a small U.S. city like Toledo or Syracuse, I would have had to consider the event to be only 11.1%. Add 33.3 + 00.0 + 33.3 = 66.6%. On a closeness scale of .1 to .9, the NYC Blackout prediction is a .66. C) Sonia Gandhi killed in October? What happened: Sonia Gandhi ran in elections for Indian Prime Minister in November -- reportedly there were verbal threats uttered against her life later -- in 1999. Time: October (it was November). Place: Although not specified, it was understood to be wherever Sonia Gandhi might be. Place therefore is not a factor. Event: Ms. Gandhi runs for office. Fortunately nothing bad happens to her, she loses the election, and she is fine. However, death threats are uttered against her in 1999. Add 33.3 + 50.0 = 83.3%. On a closeness scale of .1 to .9, the Sonia Gandhi prediction is an .83. Each thwarted prediction is equal to 1.0. Each adjacent prediction is equal to 1.0. There are 18 correct predictions: 18.0. There are two thwarted predictions: 1.0 and 1.0 = 2.0. There are 4 wrong predictions: 0.0, 0.0, 0.0, and 0.0. There are three close predictions: .44, .66, and .83. Add all twenty-eight and we get 22.93. Divide 22.93 by 28 and we get the accuracy rate. In this instance it is .8189 or 81.9%. August 27, 2003 -- Regarding the base 7 system, there is another constant I've been working with that holds promise in zeroing in on the nature of an event with more specificity. Half of 7 is 3.5, but I find that rounding up to 4 years to 4 years 7 months gives us some help in isolating the problem of specific action and location. For example, 14 (5 x 7) years ago between March and June, the Democratic Revolution in China took place. I thought it unlikely that this year there would be a major revolution in China, but 4 years ago (July 1999) there were bloody demonstrations in Iran. Using that knowledge, I concluded a democratic revolution would break out in Iran between March and June of this year. Recent bloody demonstrations begun in May 2003 attest to the success of using 4 in conjunction with multiples of 7 (14 years in this case). Had I used 4 in conjunction with base 7, I would have known that the war in Iraq would begin in March 2003 and not August 2002. 4 years earlier the Nato war against Yugoslavia began on March 23, 1999. Roughly 4 years before that the Nato air war against Bosnia began (May 1995). 4 years before that Operation Desert Storm was launched (January 1991). And 4 years before that the US entered the Iran-Iraq War when an Iraqi Exocet missile "accidentally" hit the USS Stark (May 1987). An amazing consistency going back 16 years, but there, in 1987, it ends. It would be folly to expect this sort of consistency to occur with all events, but it is very important to be aware of major happenings four years in the past for they may tend to "colour" those things portended for today using the base 7 system. The four factor has been applied to several projections already. It is a phenomenon that, nevertheless, remains under study. Please be aware that the system of prediction I use (base 7 system) was created by me to assess and assert the RISK or DANGER of certain types of events occurring at certain periods of the future. The reader must be mindful of this: the success of a prediction is not always determined by whether it is actually fulfilled; it is also successful if it is demonstrated that an event would have happened, but was prevented from happening. In a number of cases, this is the preferable result, not fulfillment. The idioms "close, but no cigar" and "closeness only counts in hand grenades and Russian roulette" also do not apply here. Reality is not black or white; hot or cold; either this or that. That is not how reality works. We know this to be true. There is neither a zero chance nor a 100% chance that if you climb into the driver's seat of a car, turn the ignition key, and drive away that you will be killed in a fatal crash. No; there is a quantifiable risk, based on annual studies of population and fatal car crashes. Predictions using the base 7 system work in a similar manner. Historical repetition is a reality. Events that happened in the past happen again ... and sometimes again and again and again. The more often an event repeats at intervals of seven years or multiples of seven years, the more likely that event will repeat during a future year that lines up with those other past years. Often, even when an event fails to repeat, we may see evidence that it could have. If a prediction fails to occur because it was prevented from being fulfilled, am I to count that prediction a failure? Obviously not. And if the magnitude of an event is something less than I thought it would be, is that a failure? I projected a major war between the US and China/North Korea would occur between August and October of 2003. Suppose in March 2004 there was to be a naval conflict between a US battleship and a Chinese warship near the North China Sea, casualties on both sides, but that diplomats managed to get China and the US to agree to a ceasefire no sooner than the war began? What is that? A "success" or a "failure?" Neither. It would be a partial success. We would be unable to treat the prediction in simplistic terms such as "black" or "white." It would be a shade of "grey" (or another colour). The danger of major war would have been very real, but the outcome would end up being something less than it might have been. Closeness does count. If a man or woman had, in the year 1957, predicted that World War III would break out between Russia and the USA in July/August 1962, would we consider such a forecast a failure given what transpired during the Cuban Missile Crisis of October 1962 and what the conclusion could have easily been? Would we fault the prognoticator for being premature by a few months or for failing to mention Castro or Cuba? For more on how base 7 numerology can work together with Nostradamus interpretation, see The Diana Prophecy. Logically, this is the next page in the sequence anyway. Currently, you can learn more about this subject by visiting The Early 21st Century Email Forum and checking out some of the base 7 related letters on that page and a number of other forum pages accessible from its internal menu. Some important discoveries I have made since 1999 regarding the base 7 system will be posted here shortly. They should be considered as new operating procedures when using the system. Return to: Overview and Updates Page or Home Page. On this early Pink Floyd LP, we can see some of the mystical value inherent in the number 7 and in cycles of seven. 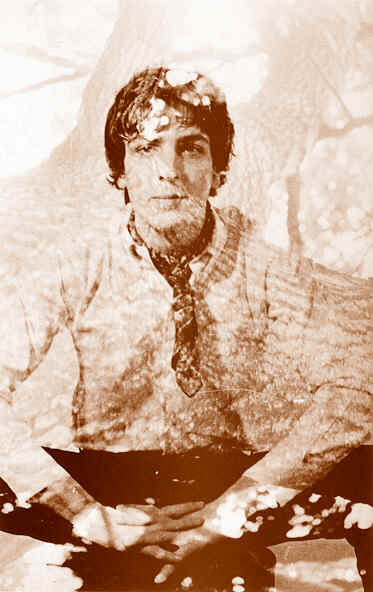 The lyrics for "Chapter 24" are by the original group's founder and frontman, Syd Barrett. The album, Piper At The Gates Of Dawn, was released in early 1967. Barrett would go on to produce and record material for his next project, A Saucerful Of Secrets, in 1968 and several other songs which would not appear until the release of Relics in 1971. Unfortunately, a bad acid trip accompanied by an underlying, undiagnosed psychosis would end an otherwise promising career and introduce David Gilmour as lead guitarist for some of the tracks on the second album. Barrett's star briefly resurfaced again in 1974 with the release of a double album set called The Madcap Laughs and Barrett, containing material recorded between 1972 and 1974.